Sunday’s state-by-state reports are the latest attempt by the Obama administration to pressure Republican leaders in Congress. WASHINGTON – Maine stands to lose more than $5 million in education funding as well as millions more for environmental programs, defense programs and services for the elderly under budget cuts due to start this week, according to the White House. In another attempt to ratchet up public pressure on Congress, the White House on Sunday released state-by-state estimates of how defense and domestic programs would be affected under the $85 billion “sequester” cuts that begin Friday. Democratic and Republican leaders still appear far apart on how to avert the across-the-board spending reductions. In Maine as in most states, the defense industry would be hit hard, because 50 percent of the overall cuts will be levied on the Department of Defense. The White House estimated that 22 days of unpaid furloughs for roughly 7,000 civilian defense employees in Maine would reduce payroll by $41.7 million. Many of those furloughed employees would be from the Portsmouth Naval Shipyard in Kittery, which has roughly 4,700 civilian workers from Maine and New Hampshire. 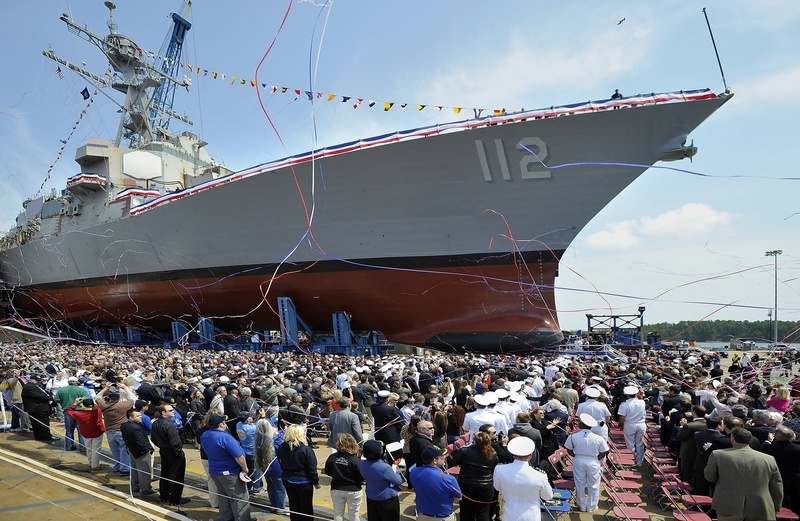 Impacts on Bath Iron Works’ 5,000 employees would be less immediate; however, officials there are concerned that budget uncertainty could cause the Navy to delay contracts for new destroyers. • Loss of $2.7 million in primary and secondary education funding, putting at risk 40 teachers and teacher’s aides while cutting services to 2,000 students and 20 schools. • $2.6 million less for 30 teachers and staff who work with children with disabilities. • Elimination of funding for about 300 Head Start students. • More than 100 lower-income college students will lose tuition assistance or work-study jobs. The White House also estimated that 740 fewer children would receive vaccinations due to the loss of $51,000 in federal funding, while programs that provide meals to seniors would lose $197,000. Other health care programs for substance abuse and HIV testing would lose nearly $400,000, while environmental protection and wildlife programs would lose $1.9 million. Sunday’s state-by-state reports were the latest attempt by the Obama administration to pressure Republican leaders in Congress into either delaying the cuts or accepting a plan that would mix spending reductions with elimination of tax exemptions for corporations and wealthy individuals. Republicans are insisting that the savings come from spending cuts, including from Medicare and other entitlement programs. New, dire-sounding predictions have come out of the White House almost daily and administration officials suggested Sunday that additional agencies will release new details as the week progresses. On Friday, the Federal Aviation Administration announced that Bangor International Airport and Manchester-Boston Regional Airport were among 60 facilities nationwide that could lose overnight staffing in their air traffic control towers. Under such a scenario, coverage would bump to air traffic controllers in the regional center in Boston. However, the changes could affect commercial airlines’ willingness to schedule late-night or early-morning flights into and out of the airports. Acadia National Park, meanwhile, is preparing plans for a $390,000 cut, the park’s deputy superintendent said Friday. That could mean shortening the season that the visitor center is open, eliminating an air and water quality specialist and fewer interpretive programs for the park, which gets about 2.5 million visitors annually. Members of Maine’s congressional delegation — which consists of two Democrats, a Republican and an independent — have been urging Congress and the president to take action. “These kind of arbitrary and extreme cuts are going to be bad for Maine families and bad for the economy and it’s why I voted against the bill that created them in the first place,” U.S. Rep. Chellie Pingree, D-1st District, said a statement Sunday night. Pingree is married to S. Donald Sussman, the majority share owner of MaineToday Media, which publishes the Portland Press Herald/Maine Sunday Telegram. Republican Sen. Susan Collins and independent Sen. Angus King, meanwhile, visited Bath Iron Works and the Portsmouth Naval Shipyard last week to call attention to their concerns over impacts on Maine’s shipbuilding industry.